We were lucky last weekend that a negative tide occurred on a gloriously sunny afternoon and fit in perfectly with the PuppyDog’s naptime. 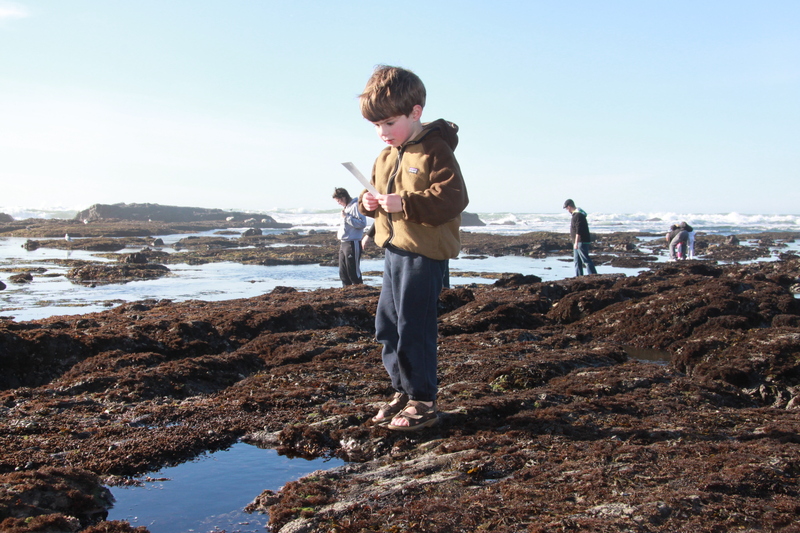 The shore at the Reserve is always beautiful but on a negative tide day, when the sea goes out especially far, the rocks and tidepools are revealed and accessible from the beach and it becomes an irresistable destination for small people. The boys both had a wonderful time clambering around on the rocks and checking out the marine life in the pools. Before we went down to the beach, we stopped off at the visitors centre to pick up a guide to the tidepool creatures on the beach. The Monkey loved identifying all the animals he found. He especially loved the giant starfish and sea anemones. "It's a sea enemy Mommy!" 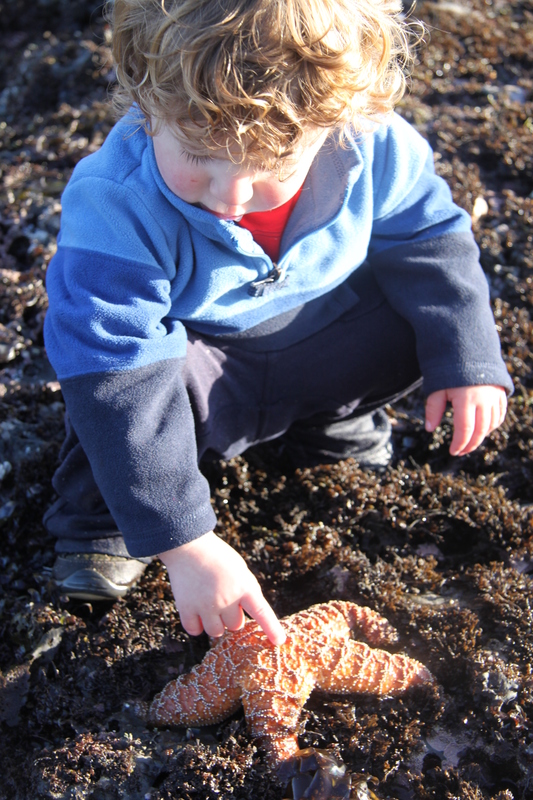 It was a great toddler day out — just make sure to being several changes of clothes and either water sandals or wellington boots if you plan to go down for the next low tide.